Mobile FRP Lock Protection Ko Unlock Kaise Kare: Dosto Factory Reset Protection Features sabhi mobile me Available nhi hai. Ye sirf badi Company wale mobile me FRP Lock available hai. Our ye New Type ke Security Locked System hai. and iska Developer hai Google. Latest Mobile Me FRP Lock Protection diye jate hai jaise – Samsung, Sony, HTC etc.. Today ham baat karenge Mobile FRP Lock Protection Ko Unlock Kaise Kare. Iss Post ke madad se Samsung, HTC, Sony and other jitne bhi mobile me FRP lock Protection Features Available hai sabhi Smartphone ko unlock kar sakte hai. Yedi aapke Question Hai How To Bypass Samsung FRP Lock In Hindi, Ya phir How Can I Remove FRP Lock From Samsung, HTC, Sony Etc. (Factory Reset Protection Lock Ko Unlock Kaise Kare.) Toh aap is post ko suru se lekar akhir tak badi dhyan se padhe. FRP Lock Protection Ko Kaise Tode. FRP Protection Features isliye diye gaye hai. taki Device Owner ke data safe rahe. Aur iss features se bhut use khush bhi hai. Lekin FRP lock me bhi ek problem hai. Kyu ki Jab aap FRP Protection mobile me hard reset karte hai. Tab Device Reboot Hone ke baad Lock ho jate hai. Mobile FRP Lock Protection Ko Kaise Tode Unlock Kare. Step By Step Guide To Bypass FRP Lock Protection On Samsung And Other Mobile Phones. Step By Step Guide To Unlock Bypass Factory Reset Protection On Samsung. Agar haam Samsung mobile me FRP protection ke baat karenge toh purane Samsung Note 3, Galaxy S3, S4 me ye features nhi diye gaye hai. Lekin Samsung Galaxy J7, J5, Note 5, S6 Edge, S7 Edge Me FRP Lock Protection features diya giya hai. Toh chale pahle jante hai FRP Lock Kya Hai. Dosto FRP Lock Ke Full Form Hai – (Factory Reset Protection). Mobile me FRP Lock Google Account se lagaya jata hai. Our Jaab Aap Device ko hard reset karne toh reboot hone ke baad hamare mobile me lag jata hai. Our iska key hai Google Account. Matlab aap jab tak Sahi (Correct) Google Account login nhi karenge tab tak FRP Lock apke mobile me laga rahega. Isko Use karne ka ek hi fayse hai jo (Apke device ko safe rakhte hai). Facebook Account Ko Safe Kaise Rakhe Top 5 Secret Tips. Lekin bhut user jo hai oh google account ke password bhut jate hai. Our abhi toh password bhut na aam baat ho giya hai. Our bhut badi problem me padh jate hai. Agar Factory Reset Protection Lock ko bypass nhi kar pate hai. FRP lock kaise hota hai Niche Screenshot dekhe. Agar aap bhi apke Google Account ke Password bhul gaye hai? kya aap janna chahte hai Sony, HTC, Samsung FRP Lock Protection Ko Unlock Kaise Karte Hai, Unlock FRP Lock Protection In Hindi.? How To Unlock Factory Reset Protection Lock-In Hindi. Toh aap sahi jagah par aaye hai. ➤ Mobile Me Recycle Bin Features Kaise Add Kare. ➤ Mobile Battery Jaldi Fast Charge Kaise Kare Top 5 Tips. Actually, Ye post karne ke liye mera ek friend (Farooq Baloch) ne Requirement kiya hai. Agar Apko bhi Computer Tricks, Mobile, Earn Money, Internet, Facebook, YouTube, Other Social Media ke bare me kuch janna ya batana chahte ho toh yaha Contact Us par click karke apna message de sakte hai. Dosto Factory Reset Protection Bypass karne ke liye me aap loko 3 Method Bataunga. Step by step follows karte rahe. Dosto Yedi FRP Lock Ko Bypass Karne Ke Liye Upar Ke Requirements Me Apke Pass Sab kuch Available Hai Toh Chale Jante Hai, Sony, HTC, Samsung Mobile Ko Bypass Karne Ka Sahi Tarika. Download Fastunlocker FRP Bypass Tool. Download File Ko Pendrive/Memory Card Me Copy Karlo. Mobile Phone Ko Switch On Karo. Pendrive Ko OTG Cable Ke Through Mobile Me Connect Karlo. Ab File Manager Prompt Hoga. Copy Kiya FRP Bypass APK Ko Install Kare. Install Karte Hi Automatically Mobile Setting Show Hoga. Device Setting Me Jake Mobile Factory Reset Mare. Reset Hona Start Ho Jayega. Ab Apke Mobile Phone Normally Reboot Hoga. Congrats Apke Mobile Me FRP Lock Protection, Bypass Unlock Ho Chuka Hai. Google Account, Downloaded Apps, System Appa, Videos, Music, Photos, Etc. SIM Card Ko Insert Karle. ➤ Facebook Page One Click Me Sabhi Friends Ko Invite Kaise Send Kare. First Download Samsung FRE Bypass APK. Download Kiye File Ko Pendrive/Memory Card Me Copy Kare. Pendrive Ko OTG Cable Se Mobile Me Connect Kare. Device Ko USB Ke Sath Connect Karte Hi Ek Popup Open Hoga, Our File Manager Show Honge. Ab File Manager Me Rakhi Samsung FRP Bypass APK Ko Install Karo. Ab Factory Data Reset Kare. Kuch Der Wait Kare Mobile Device Normally Reboot Ho Jayega. Congrats Apke Mobile Phone FRP Lock Protection, Bypass Unlock Ho Chuka Hai. Mobile Factory Data Reset Karne Se Apke Device Ke All Data Delete Ho Jayenge. SIM Card Ko Insert Karle. ➤ Facebook Account Me Single Name Kaise Rakhe. 1. First Download SideSyne APK. 2. SideSyne Apke Computer/Laptop Me RUN Kare. 3. Mobile Phone Ko USB Ke Through Pc Ke Sath Connect Kare. 4. Ab Apke Samne Ek Popup Page Show Hoga Chrome Select Karke Open Kare. 5. Chrome Open Ho Gaya Hai Toh URL Bar Me Niche Diye Gaye URL Ko Type Kare. 6. 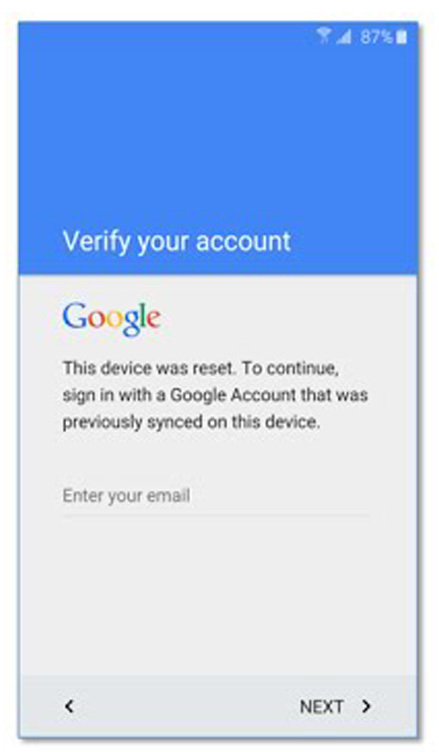 Ab Bypass Google Account Lock APK Download Kare. 7. Download Ho Gaya Hai Toh Back Samsung Apps Open Kare. 8. Samsung Apps Me Search Kareke EX File Explorer Download Kare. 9. 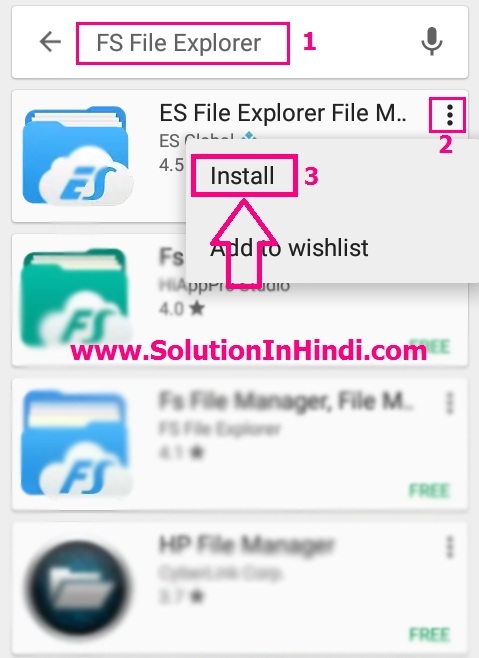 Install Hone ke Baad EX File Explorer Ko Open kare. 10. Ab Download Folder Me Jake Bypass App APK Ko Install Kare. 11. Now Device Ke Setting Open Kare. 12. Factory Data Reset Me Click Karke Device Ko Reset Karde. 13. Ab Kuch Der Wait Kare, Factory Data Reset Hone Me Thoda Time Lag Sakte Hai. 14.  Enjoy Ab Apke FRP Lock Unlock Ho Giya Hai. ◾ I Hope “Mobile FRP Lock Ko Kaise Tode” Apke Liye Helpful Rahega. Agar Faydemand Raha Toh Comment Me Apke Feedback De. Our Agar Apko Kisi Step Me Samajh Me Nhi Aye Toh. Aap Sida Comment Box Me Jake Apke Problems Bataye. Aur Ha Apne Friends Ke Sath Social Media Par Share Karna Na Bhule. www.SolutionInHindi.com Ke Sath Update Rahne Ke liye Email Subscribe Kare. And Other Social Media Ke Sath Jude Rahne Ke Liye Niche Diye Gaye Link Me Jake Kar Sakte Hai. Ham esika intejair that bro mare problem solfe holo bro Thank you…….!!!!! Hmm Thanks, & Visit Again..
Ok Visit Karte Rahe Latest Update Milte Rahenge..
Sir mera Question Ha…….ki app to a post kar diya lkin…….Agla post ma zarur ap Face Look k bare ma likhiyega…..a mera apsa nibedan ha sir……. Bro Aap or Ek bar post Ko padho..
Frp unlock k Bare Me hi Bataye Gaye Hai..
1st And 2nd Method Se Karo Ho jayega. Phir Bhi Agar Nhi Kar Paye Toh Bataye..
Kisi bhi phone ke frp lock ko thoda Sakte ho..
We came across a cool site which you could possibly appreciate. Take a appear in case you want. Good day! I simply wish to give you a huge thumbs up for the excellent info you have right here on this post. The information and facts mentioned within the write-up are a number of the very best out there.